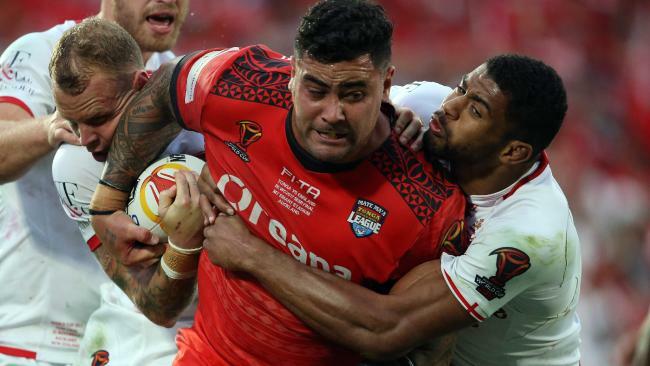 Tonga's Andrew Fifita in action at the World Cup. AUSTRALIAN legend Steve Roach doesn't want the Kangaroos to select Andrew Fifita again, while Mark Gasnier has suggested a simple fix that could end the international eligibility farce once and for all. Eligibility has been a hot topic in rugby league since Fifita and Jason Taumalolo snubbed their respective tier one nations to represent Tonga at the World Cup in October. Under the RLIF law, they were allowed to jump ship from Australia and New Zealand respectively to play for the tier two nation. The fact the sudden switches of allegiance - which happened barely a fortnight out from the start of the tournament - were allowed to happen has been slammed by commentators and fans alike. But it's also the fact Fifita is still eligible to be picked for NSW that has fans bemused. And it should be the catalyst for a change to the international rules, according to many. Gasnier wants Tonga and Samoa - and possibly Fiji and even Papua New Guinea further down the track - to be promoted to tier one status. He also wants players to declare their representative allegiances at a much younger age, and pick and stick with one country. 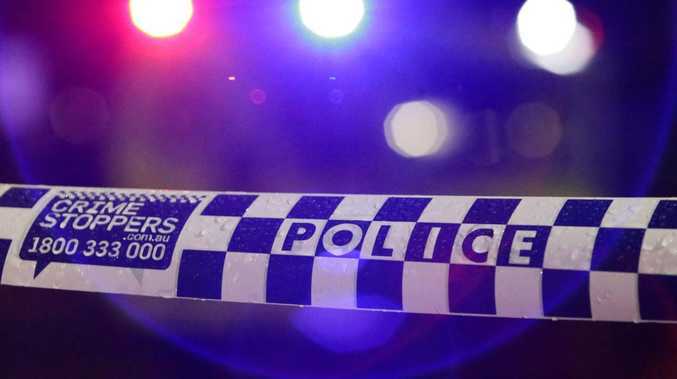 "I get where they're trying to go, if they don't select a tier one nation they can potentially go back (to a tier two nation). But personally I think Samoa and Tonga have outgrown tier two status. I think they are genuinely tier one," Gasnier told foxsports.com.au. Andrew Fifita in Australian camp before jumping ship to Tonga. reps. Because then you can plan. "The key for the international game moving forward is the implementation of the junior structures in Samoa, in Tonga, and then they receive the right coaching. "The biggest advantage (tier one nations) have got is we receive the right coaching from a young age. "Stuff that takes a period of time to get right for those emerging nations, is taught to us and becomes second nature by the time we're 17, because of the programs we're put in and the elite coaching we receive. "If they can implement that in the regions, and by players declaring their allegiance at a young age, they can plan, and they know what players they've got coming through." The big advantage that comes with representing Australia is you're also eligible to represent either Queensland or NSW in State of Origin. Taumalolo chose to represent New Zealand and in doing so he turned his back on Queensland, while young gun Kalyn Ponga has just recently made the reverse decision. But with Tonga being a tier two nation, Fifita can still play for the Blues in the upcoming Origin series, despite playing the World Cup just last year. If Gasnier's wish to have Tonga promoted to tier one eventuated, Fifita would be ineligible to represent NSW. And that means upwards of $90,000 lost from Fifita's potential salary, which Gasnier admits makes the decision tough for players. Earlier this month Fifita told Fox Sports he would only turn his back on Tonga in order to achieve his goal of winning an Origin series. 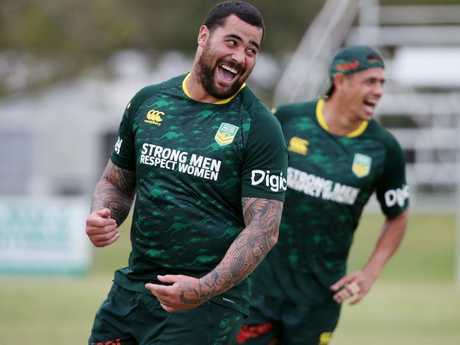 Fifita could yet be selected to represent Australia in the end-of-year Test against New Zealand, if coach Mal Meninga is prepared to welcome him back. But Kangaroos and NSW legend Steve Roach says he would not support Fifita returning to the fold after turning his back on the country. Andrew Fifita in action for NSW. "I personally probably would (have an issue), yeah. You've given up the right, which is your right to make the decision," Roach told foxsports.com.au. "But that's just me. I stay loyal to the flag and to the emblem, to Australia. "If you go then that's your prerogative, you can go, but don't expect to come back." Gasnier said he wouldn't have a problem with Fifita's return to the Kangaroos because it is allowed within the current rules.